Dit jaar worden alle masterclasses gegeven in het engels! Hello, My name is David McCallum and I am the Business Development Manager and Brand Ambassador for the Loch Lomond Group. I have been around the Scotch Whisky Industry for approx 6 years now and have been working for Loch Lomond Group for 2 years. I originally worked at our bottling hall in Glen Catrine in Ayrshire as the production support lead and have in the last year been moved over to the Business Development role. I am heavily involved in showcasing our brands in the form of tastings, shows and brand development days. Last year I spent time with the De Monnik group touring Holland, so I was delighted to be asked to come back and attend this event that I have heard so much about. So I look forward to seeing you all and introducing our products to fans both new and current. Deze masterclass is € 17,50 euro p.p. (max. 30 personen per sessie). My name is Mitch Graham, and have been working for J and A Mitchell as a whole for around 2 and a half years. 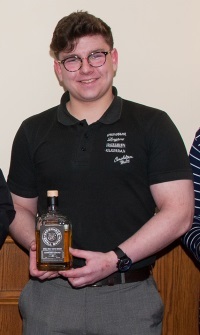 I started off my journey in whisky and in the company as a Sales Assistant in the Cadenhead Whisky shop in Campbeltown, learning as much as I could about whisky through tours, tastings and learning from my colleagues. After my time in the shop, I then took on the position of Senior Tour Guide (there wasn’t a junior tour guide, so not 100% sure why I was the senior, made me feel more important I suppose haha) with this position I was then trusted to do Cadenhead Warehouse tastings which helped me to learn more about my tasting style and more about the many distilleries around the world. I also had the chance to represent Kilkerran and Springbank at Whiskyshiff Lucerne and the Limburg Whisky Fair respectively. I’ve had an amazing experience in my job and I am looking forward to my future experiences as part of the Cadenhead Sales Team. Deze masterclass is €20 euro p.p. (max. 30 personen per sessie). The original Adelphi Distillery was founded in Glasgow and by 1902, when it became part of the Distillers Company Limited, was one of the largest distilleries in Scotland. Production ceased that year, but the name was revived in 1992 by the great-grandson of the last owner, Jamie Walker, as an independent bottler of single cask malts. 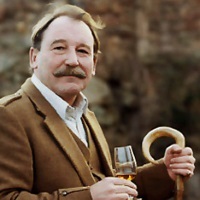 Charles MacLean became the company’s nose in 1993, having previously trained in “the sensory evaluation of potable spirits” with the Scotch Whisky Research Institute. He began working with Jamie to select casks and write tasting notes, and has gone on to publish multiple award winning books on Scotch whisky. He was appointed as a Master of the Quaich in 2009 for his services to the industry, and is widely regarded as Scotland’s leading whisky expert. Charlie remained as Adelphi’s chief nose when the company was sold ten years later to two West Highlanders. They, in turn, appointed Alex Bruce (formerly of Justerini & Brooks) as Marketing Director, and after 2015 Managing Director. Alex has steered the company to 10-fold growth, the building of a bottling and distribution warehouse, and in 2014 the birth of its own Ardnamurchan Distillery. 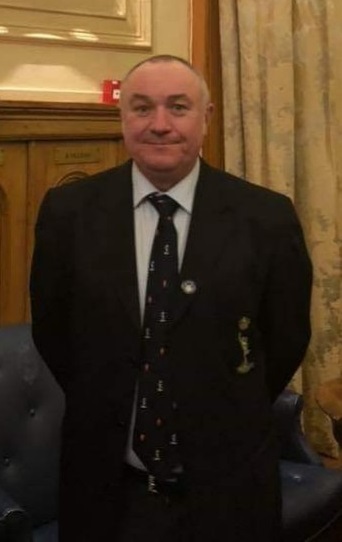 He was also appointed a Master of the Quaich in 2016, and sits on the board of directors of Scotland Food & Drink, the industry leading group. Situated on the rugged and remote Ardnamurchan Peninsula in the West Highlands, Ardnamurchan Distillery is a pioneer in environmentally responsible distilling – taking its power from the nearby Glenmore river, and its heat from locally sourced woodchip; and offering all of the co-products back to the local estate. The distillery currently operates a 12 mash week, producing some 400,000 litres of alcohol per annum, with a 50/50 split between peated and unpeated spirit. All of its whisky is maturing on site, with a highly anticipated Single Malt launch in late 2020, early 2021. In the meantime, and thereafter, Adelphi will continue to bottle exceptional single cask, and small-batch whiskies. Deze masterclass is € 27,50 euro p.p. (max. 30 personen per sessie).